Luce Loft is located in East Village, close to Petco Park and the Gaslamp Quarter. 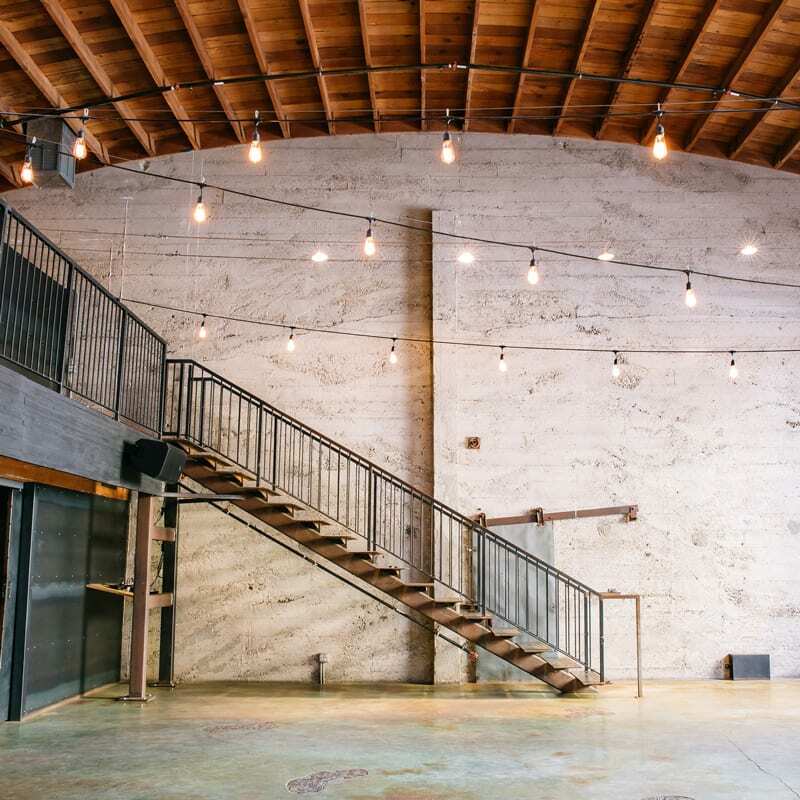 This old dairy factory has been transformed into the perfect urban event space with cement walls and concrete floors. The space has multiple loft spaces, which have been used by bridal parties as suites or additional seating. The venue has a large garage door that allows for easy load-in and unique installations. Additionally, there is a small space for cocktail hour, if you need to flip the space. Otherwise, that space can be used for event registration or by the caterers for cooking. Perfect for intimate gatherings with less than 150 guests.